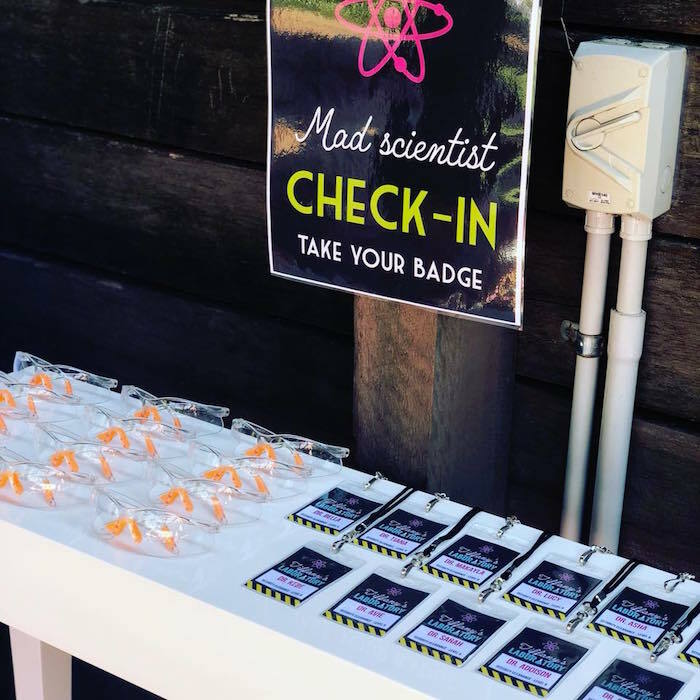 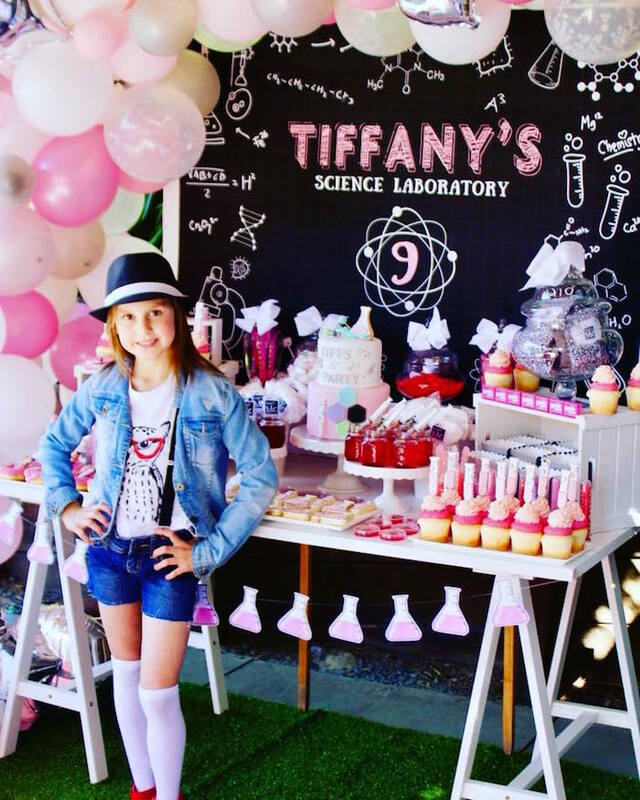 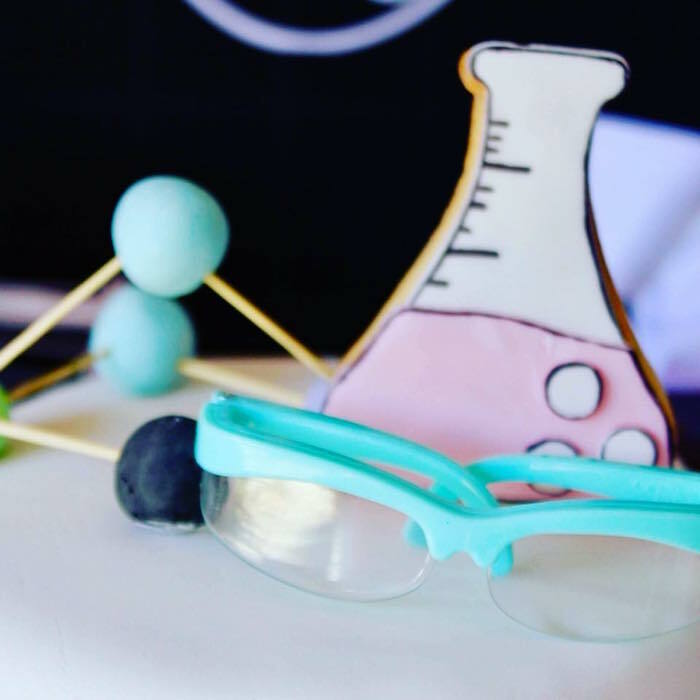 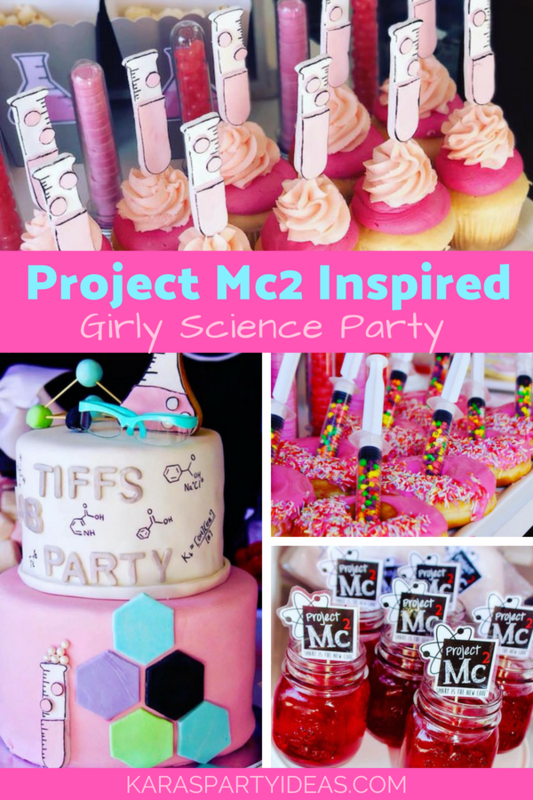 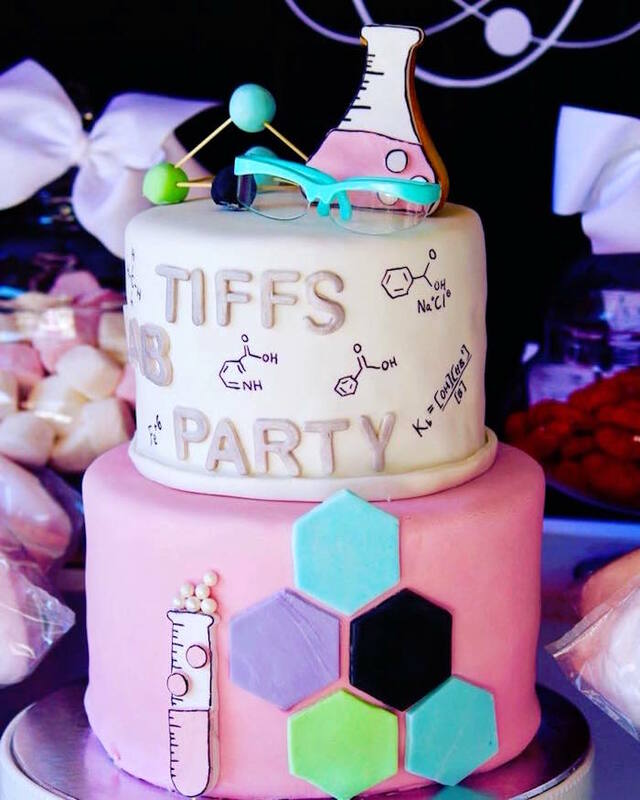 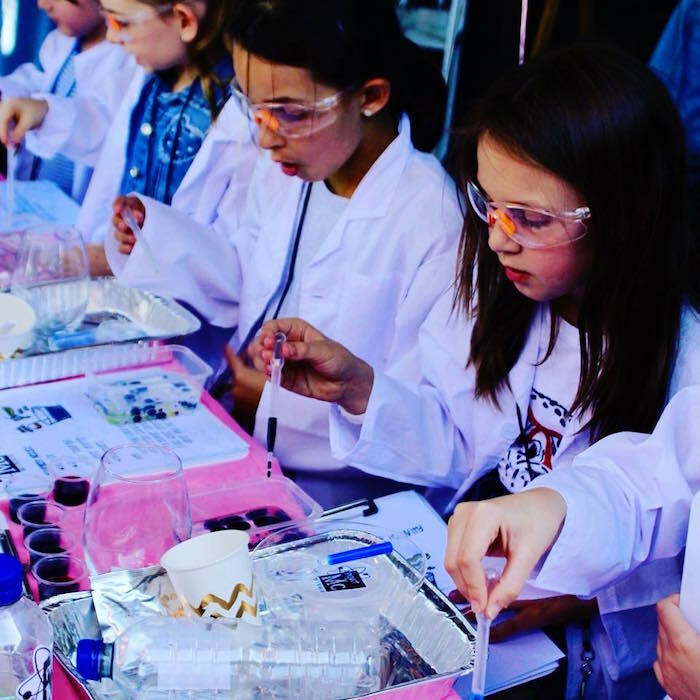 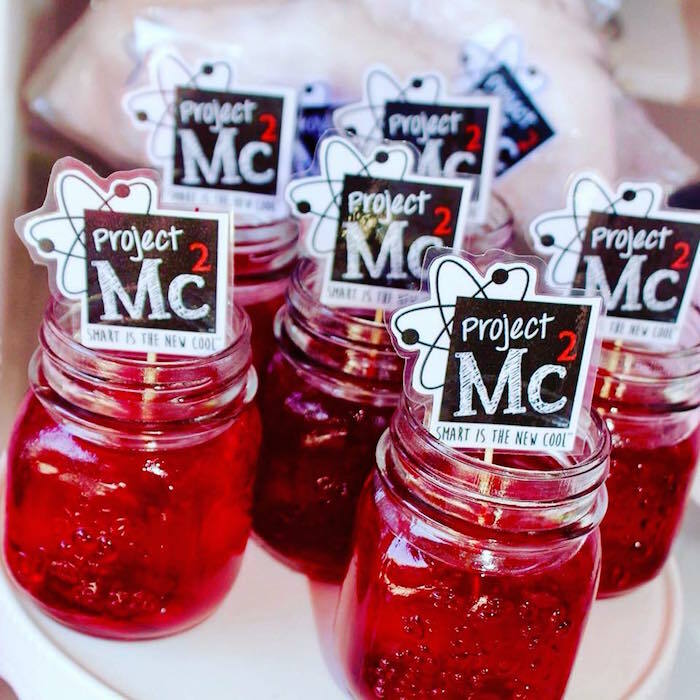 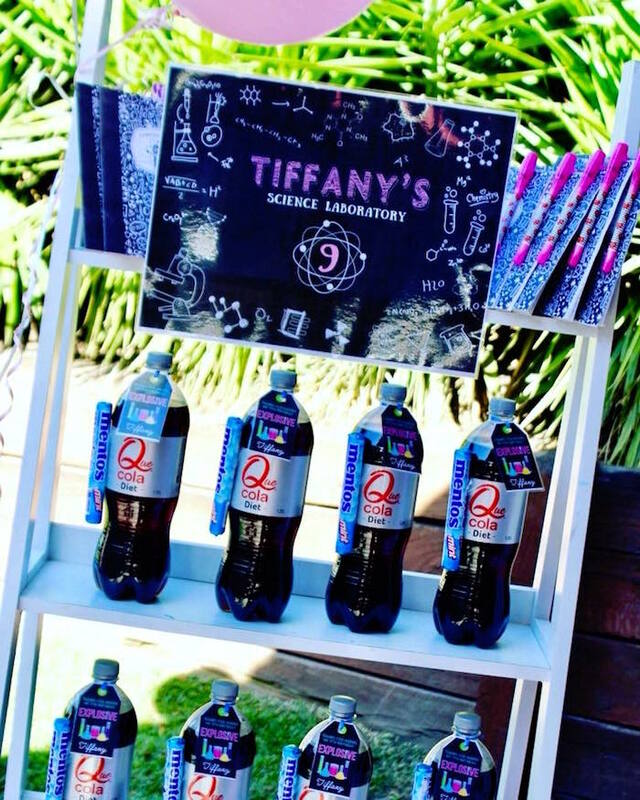 Set up the experiment and figure it out, this Project Mc2 Inspired Girly Science Party, is what it’s all about! 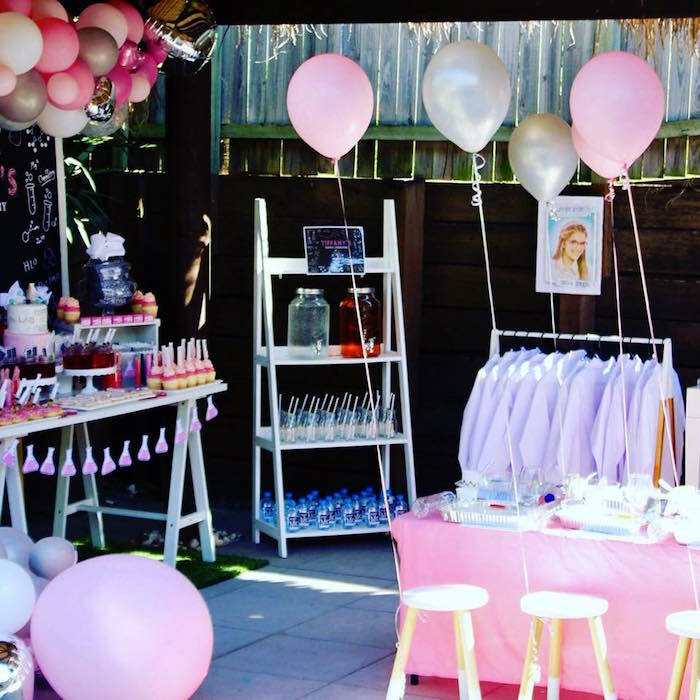 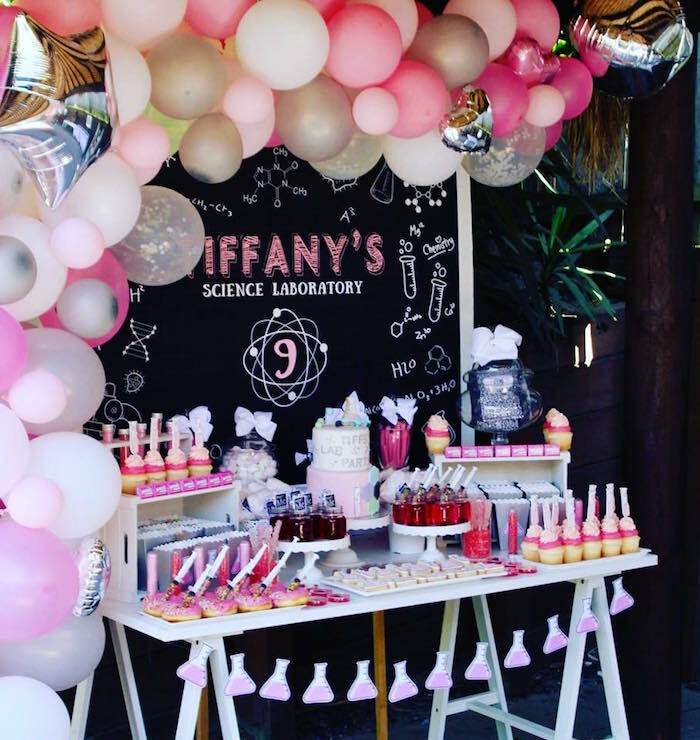 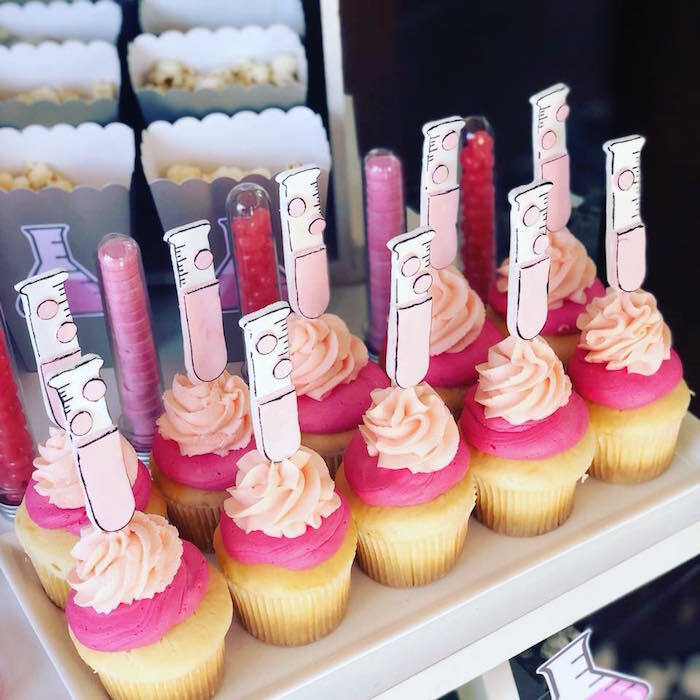 Filled with fun that fizzes and shines, this birthday bash by Angela Lane of Peony Pepper Events and Styling, out of Gold Coast, Australia, is adding up to more than divine! 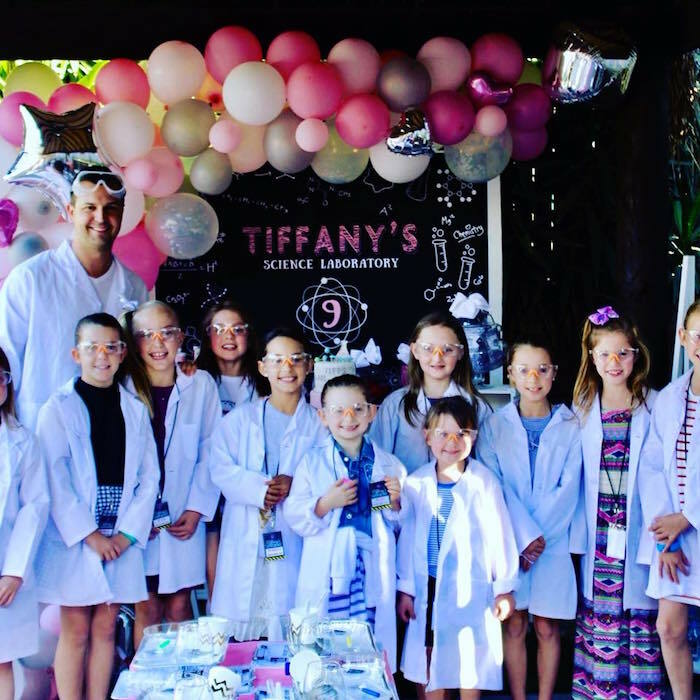 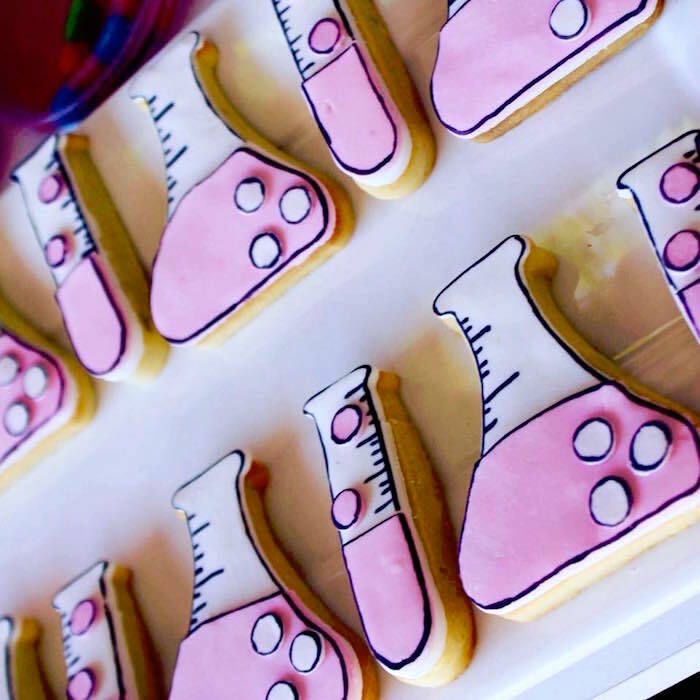 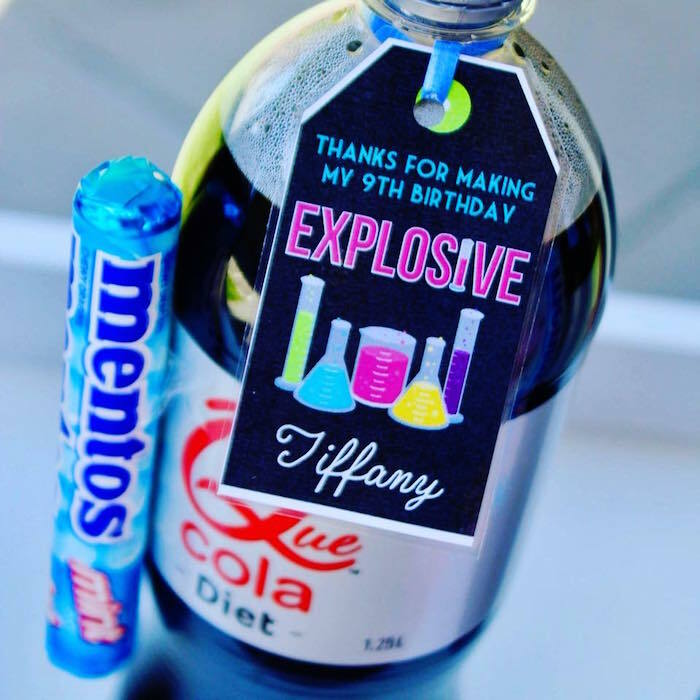 Angela’s party snippet- “All the girls received a lab coat, safety goggles and personalized name tag to wear . 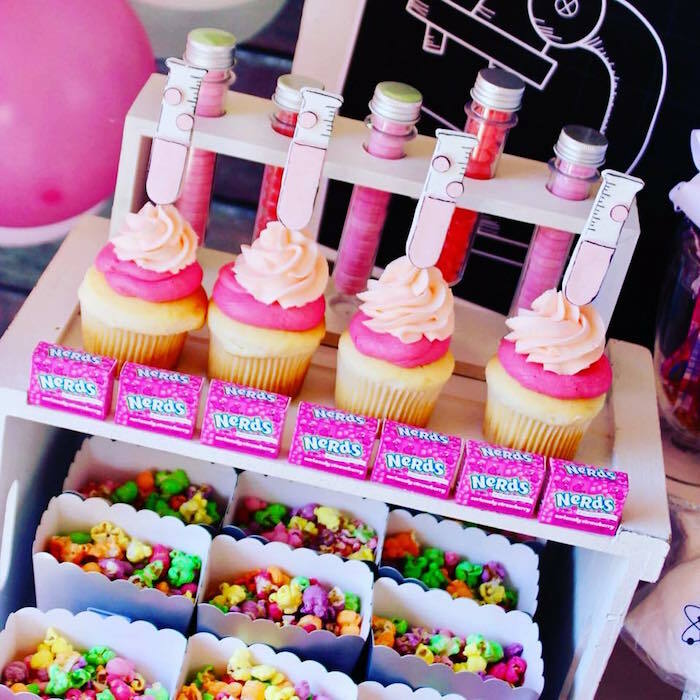 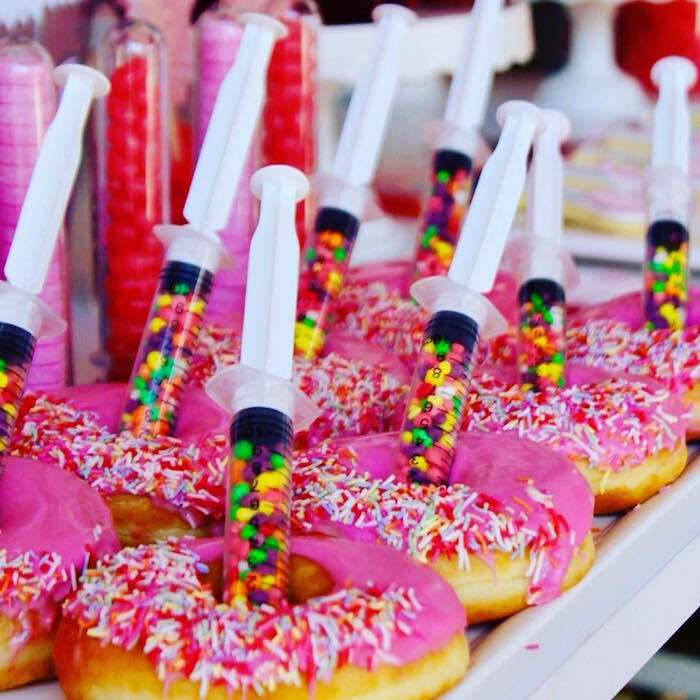 After enjoying a sweet treat they enjoyed 4 experiments. 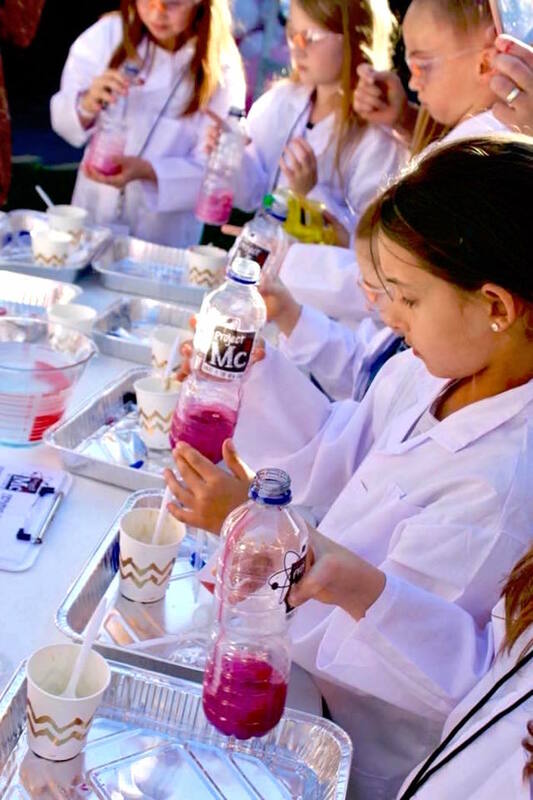 The played with oil and water, made lava lamps, made slime and did elephant’s toothpaste ! 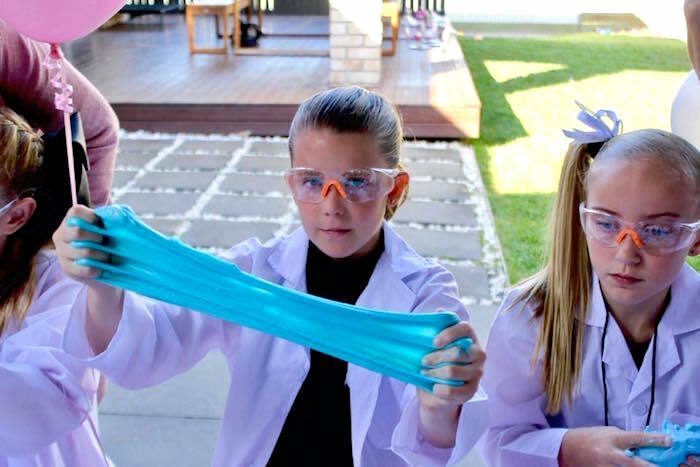 After all the hands on experiments they played limbo, freeze and piñata . 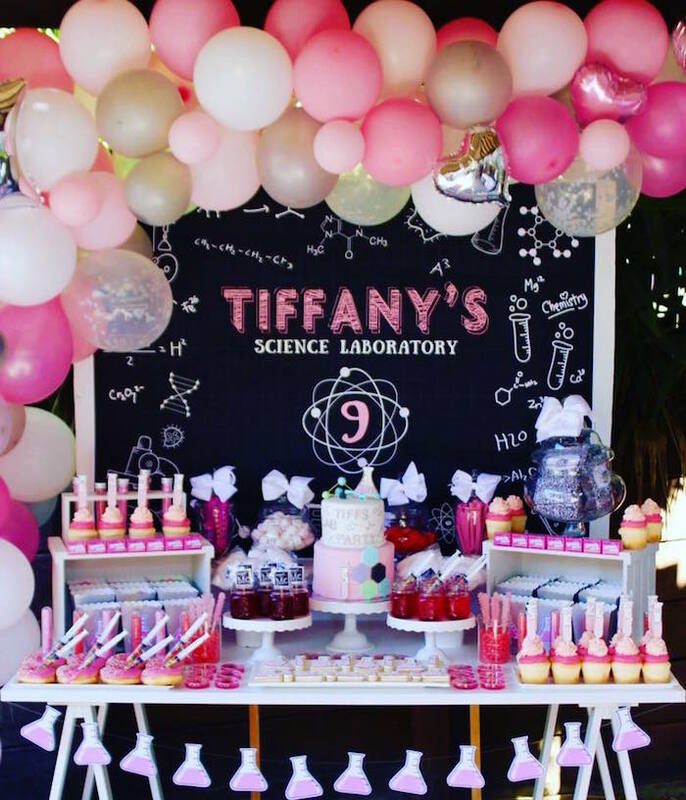 The backdrop design is from Baby Collar Printables on Etsy and I made everything else.